For review of all the books in this series: Go here. 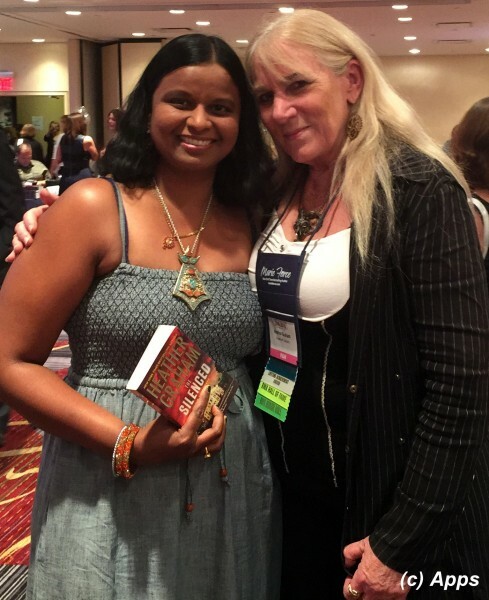 Heather Graham was another author that I got an opportunity to meet at Romance Writers Association's Annual meet in NYC last year. She was very charming and patient with everyone in answering their questions. I remember one lady taking away all her time even after the event was done, but she did not shoo her away. Instead gave that lady her extra attention. It humbled me at that gesture. She writes books as Heather Graham, Heather Graham Pozzessere and Shannon Drake. However, I don’t remember reading any of her books. Now that I met her, I gave a shot at reading the signed copy of The Silenced I got from her that day. 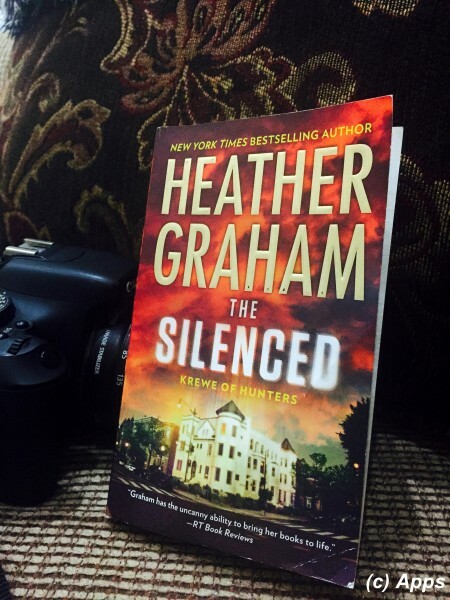 The Silenced is the 15th book in the Krewe of Hunters series published in 2015. Krewe are a secret FBI unit, the members of which know a little of the otherworldly. Each member of the unit has honed a particular psychic talent of their own making them the paranormal investigating team. Headed by Adam Harrison, this Krewe had aided different law enforcement agencies in solving cases that involved paranormal activities. Meg Murray, an FBI agent newbie, gets assigned to special agent Matt Bosworth, a member from Krewe, when her childhood friend Lara goes missing. Lara Mayhew was working as Congressman Ian Walker's media assistant at the time of her missing. The last thing Meg heard of her was a brief message that she was leaving Washington and heading home back to Richmond. Meg and Matt also come to know that the day she went missing she had resigned from her job too. At the same time Krewe team come across a flurry of bodies washing up on the sides of Potomac River, seemingly a work of a serial killer. Meg's suspicions begin to take better of her and fears that Lara might have been taken by this serial killer. Together they trace the same path that Meg and Lara had taken several times, traveling from Harpers Ferry to Gettysburg, visiting battlefields and graveyards. In the process they try to uncover hidden secrets, come across otherworldly creatures and getting closer to each other as well. All their attempts of finding Lara before its too late puts them right in the path of the serial killer. How they will move past the serial killer in finding Lara, uncover the truth of scandal in the Congressman's office and bring justice is the rest of the story. A spine-chilling narration that kept me up quite a few nights. Well written by Heather Graham. Most definitely I will be exploring her other works as well.